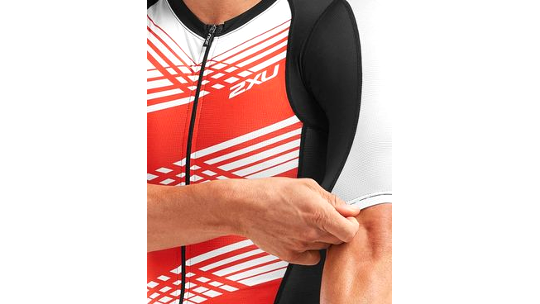 Redesigned for the 2019 season, 2XU has worked in partnership with the Royal Melbourne Industry of Technology (RMIT) to provide the performance athlete with the very latest in fabric engineering. Constructed of yarn material, this tri-top helps to keep you cool when the temperature turns up. As well as this the compressed design helps to reduce muscle fatigue and tiredness throughout your race and goes onto help you recover post-race through stabilising the muscles found in your hamstring and quadricep. 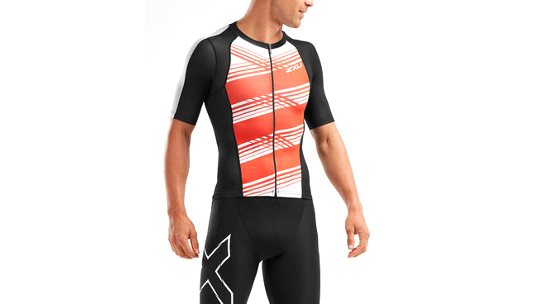 Finally, 2XU UV blocking technology prevents you from burning whilst you are out racing under the hot sun for a number of hours, meaning you can stay focused on racing your best! 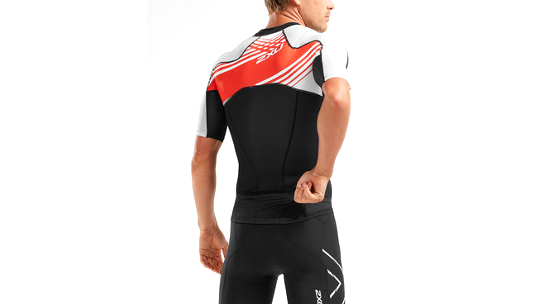 This top can be used as part of a two-piece for any distance of triathlon racing including half and full Ironman events.